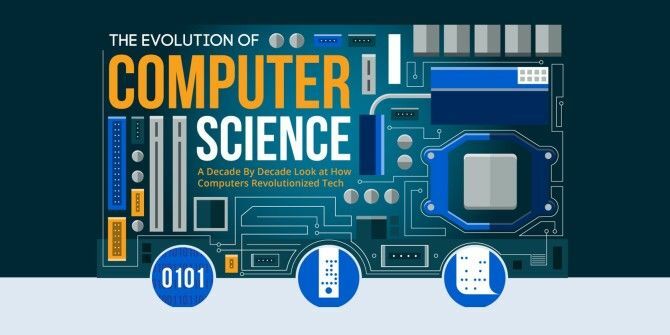 How Has Computer Science Changed Over the Years? Is there a field that moves faster than computer science Open For All: 6 Computer Science Projects From MIT Media Lab That You Can Try Today Open For All: 6 Computer Science Projects From MIT Media Lab That You Can Try Today Every great educational institution has one common quality – innovation. MIT Media Labs is one center of excellence which promotes multifaceted thinking, and its “prime directive” is to focus on developments which are at the... Read More ? It hasn’t even been around for 100 years, and it’s seen an absurd amount of evolution in that time. Just how much has it changed? Check out the infographic 3 Infographics That'll Help You Enjoy Work More 3 Infographics That'll Help You Enjoy Work More Read More below for a decade-by-decade look.